All of your favorite flavors in Eggplant Parmesan, pressed between to pieces of thick sliced bread and made into a delicious Panini! Ragú® recently challenged bloggers to put our own unique spin on one of their classic recipes, making it a new Tra-Dish! I was excited to be tasked with making over the No-Fry Eggplant Parmesan, as it is one of my favorite dishes! Did you know that each and every jar of Ragú® Old World Style® Traditional Sauce has at least 11 tomatoes? This makes it richer and thicker than the previous previous formula! Be sure to check out the Ragú® Sweepstakes for a chance to win great Authentic Italian themed prizes, including a grand prize trip to Italy for a family of four! Enter today at www.RaguSweeps.com! Also be sure to visit Ragú® on Facebook for more easy and delicious authentic Italian recipe ideas! 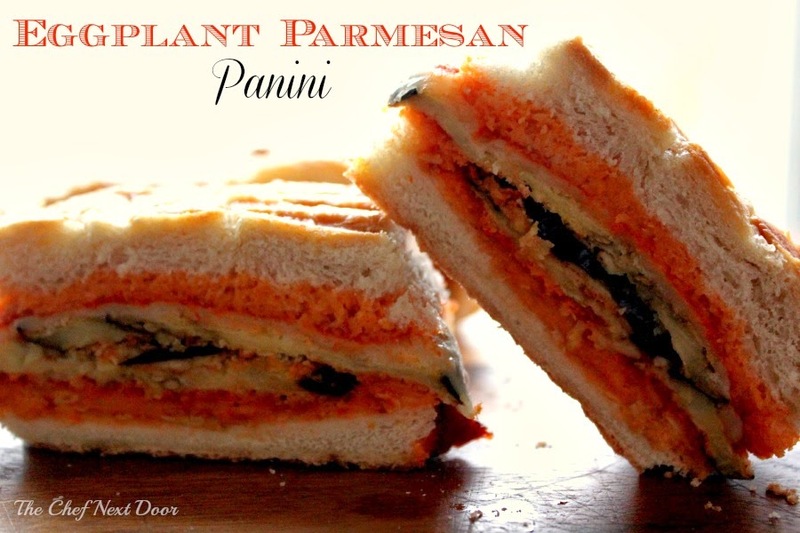 I thought long and hard about how to flip this recipe and make it my own in some creative way, and what I came up with is this Eggplant Parmesan Panini. I love paninis, and my kids love it when I take foods and make them into a sandwich. My mind was made up and I went to work creating my little masterpiece. This dish is very easy to make and is perfect on a busy weeknight or weekend. The eggplant is breaded and then baked (not fried!) to crispy perfection. Layer the cooked eggplant slices on your favorite bread with Ragú® Old World Style® Traditional Sauce and slices of mozzarella cheese, cook in your panini maker and voila! Dinner is served. Preheat the oven to 350 degrees. In a bowl, combine the bread crumbs with the Parmesan cheese, Italian seasoning and garlic powder. In another bowl, have the beaten eggs. Dip the eggplant slices in the egg mixture, then the bread crumb mixture. Arrange the slices in a single layer on a baking sheets either lined with a Silpat or sprayed with cooking spray. 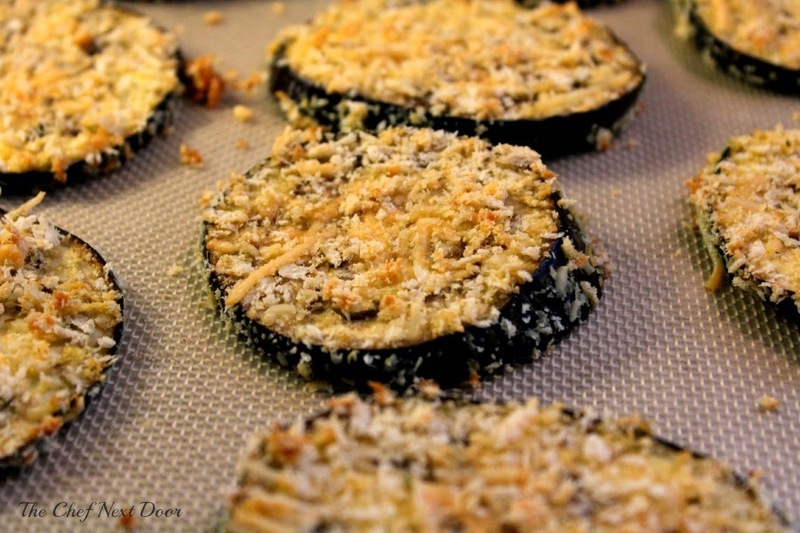 Bake until the eggplant slices are golden, about 30 minutes. Cut your loaf of bread into 4 equal pieces, then cut each piece in half to open them up to make your sandwiches. 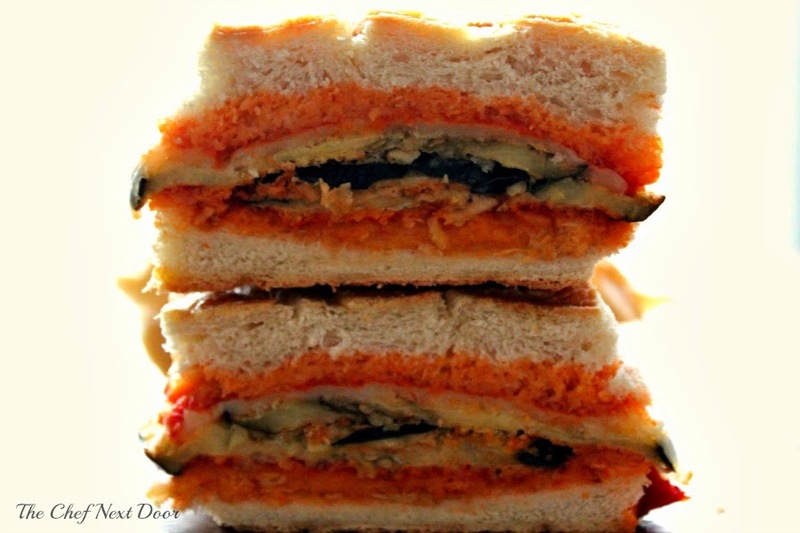 Assemble the sandwiches: spread 2 heaping tablespoons of Ragú® sauce on both sides of the bread. On the bottom half layer three eggplant slices and two slices of mozzarella cheese. Top with the top slice of bread and brush the outside of the sandwich with olive oil. Repeat until all the sandwiches are assembled. Heat your panini grill or skillet over medium-high heat. Cook the sandwiches until the cheese is melted and the sandwiches are heated through. This is a sponsored post with ModernMom and Ragú®. I received products at no charge to develop this recipe, however, all opinions are my own.